Far removed from the modern “natural health” trend of replacing pharmaceuticals with herbal remedies, real Plant Medicine harnesses a near unlimited potential for healing through a partnership with Nature and a fundamental understanding of the root cause of dis-ease. 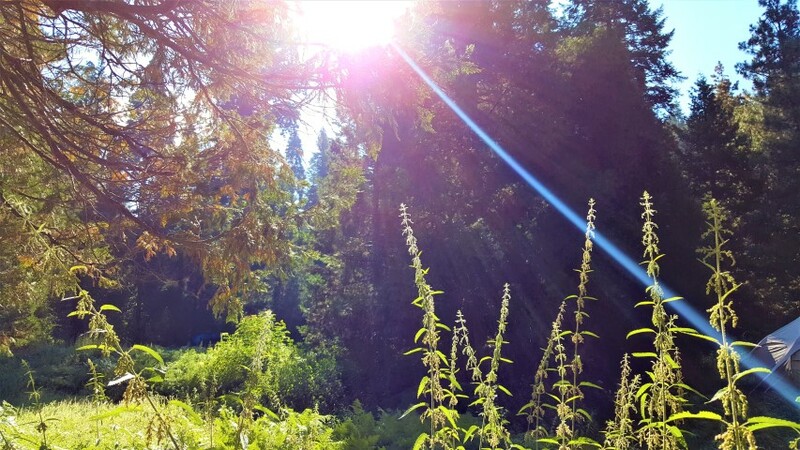 The EarthSky People method of herbal medicine invites the practitioner to step away from the conventional model of “Herbs = Substance” and into the realm of Plants as living, intelligent beings that we can commune with for unsurpassed health and wellbeing. 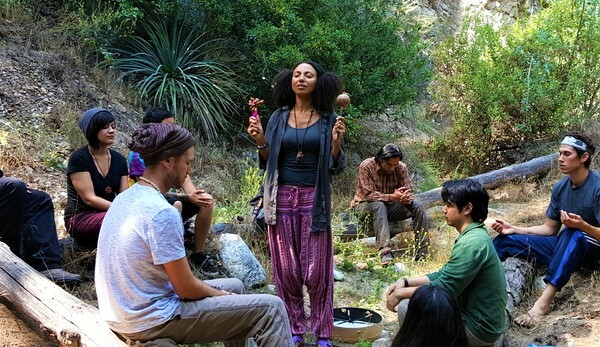 We will be exploring ancient Ethnobotanical and Shamanic healing traditions; experiencing how they interface with our modern understanding of plants and their medicinal uses for a new paradigm that is healthful to both humankind and the planet. Receive significant savings over a-la-carte class registrations. 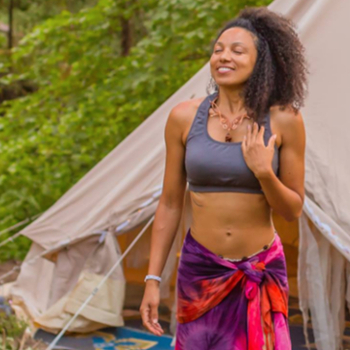 Victoria is a Healer emphasizing ancestral Shamanic practices and contemporary Energy Healing methods. She has over 18 years experience in the healing arts and has formal initiations into the Cross Cultural and Zulu Shamanic lineages. Learn more. $247 savings over the A-la-carte value of $1135! $358 savings over the A-la-carte value of $1135! $136 savings over the A-la-carte value of $1135! The Plant Medicine Certification classes are held at various locations throughout Los Angeles County. 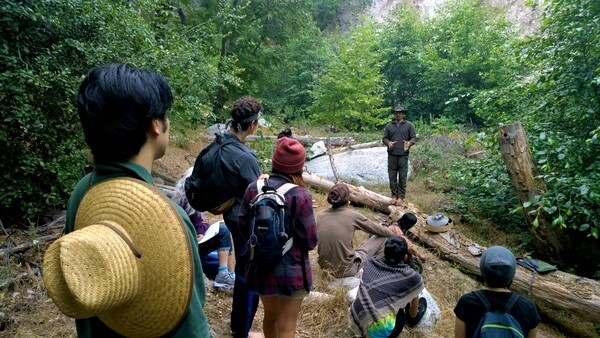 Many of the classes that include wilderness outings and plant walks are conducted in our local San Gabriel Mountains. Most of our in-house classes are conducted in West Covina. Further details are provided to registered students. A great deal of staff time and expense is invested into the preparation and organization of individual classes. It is difficult and oftentimes impossible to recover costs and/or find a student to replace a cancelled registrant and so our cancellation and refund policies reflect this. Programs taking place over the course of 30 days or more, such as the Plant Medicine Certification course, must be cancelled with a minimum 14 day notice of the program start date or within 24 hours of registration to receive a transfer (minus a $30 transfer fee) or a full refund minus a $100 non-refundable deposit. Full program cancellations made with less than 14 days notice of the program start date, forfeit a refund or transfer. Full program cancellations made once the program has started, forfeit a refund or transfer. We understand that emergencies and unforeseen circumstances do happen. As such, we offer the courtesy of individual classes to be rescheduled a maximum of one time to a different class within 12 months of the originally scheduled class minus a $15 admin fee. Q: I am a Healing Practitioner. Can I incorporate plant medicine into my existing healing practice? A: Yes. As long as it is clear that a healing practitioner cannot claim to diagnose, treat, or cure any medical condition using the Plant Medicine I course training, incorporating the knowledge can be a powerful tool in your practice. Q: Will I be a certified herbalist after completing the Plant Medicine I Certification? A: No. The Plant Medicine I Certification Course is an introductory course to basic herbal medicine uses, ethnobotany, and the basic Shamanic practices used cross culturally in healing and especially for developing plant relations. Herbalist training typically requires years of focused study and practice. Q: Will I be able to treat diseases with the information learned in the Plant Medicine I Certification? A: By law, we cannot claim to diagnose, treat, or cure any medical condition. Plant medicine however, is powerful tool for self reliance and a wealth of healing potential used by our ancestors across the globe to promote and maintain health. Q: Will I be a medicine man or woman after completing this course? A: No. The term Medicine Man or Medicine Woman is typically used by Westerners to describe tribal healers and shamans from a variety of ethnic groups. The Plant Medicine I course does offer ethnobotanical uses of plants and insight into how some cultures utilized and related to plant medicines, however it is not focused on a specific culture or methodology. Instead, this course is designed to introduce the student to the world of herbal medicines from multiple angles with the intention of encouraging further self guided study and exploration. Q: When will I receive my certification? A: The Plant Medicine I Certification is issued after completing all 12 modules and successfully passing the written exam. Q: Can I take individual classes without enrolling in the Certification Program? A: Yes. All Plant Medicine I classes may be taken as stand-alone classes. It is advised, however to take all the wildcrafting classes. Q: Can I enroll in the Plant Medicine Certification if the program has already started? A: Yes. The program is designed to be ongoing and students may enroll at anytime and start with any module. Q: If I have already taken a stand-alone Plant Medicine class, will it count towards the Certification? A: Yes. Students who have already taken a plant medicine class, may apply it towards the certification and the program tuition will be discounted accordingly. The EarthSky People Plant Medicine course was completely insightful, inspirational, magical and a deep deep connection with our mother earth. Thank you Victoria and Nhan for holding sacred space for us to learn freely with love and compassion! 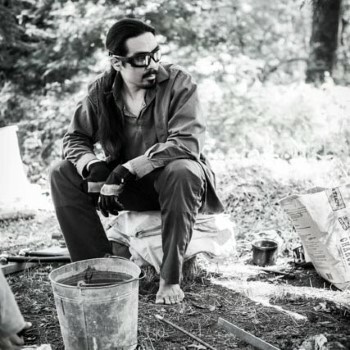 I had an amazing time literally “in the wild”, speaking with the plants, learning to make medicines that absolutely do work. I had a headache and backache that day and Victoria shared a salve made entirely of medicinal plants. It worked immediately. We prepared medicines made up of the different plants we’d collected ourselves and sampled. My headache and tummy discomfort eased right away. I walked away with a renewed sense of wonder, amazement, and excitement for plants and plant medicine. Hugs Victoria. You are a wonderful teacher. Your love and joy for life are infectious!